Despite piles of evidence debunking any link between vaccines and autism, eight per cent of British Columbians who responded to a new poll still believe there's a connection. 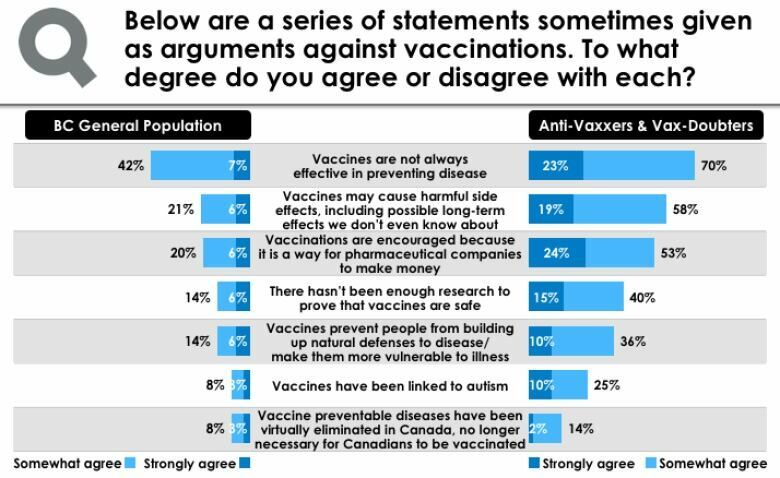 Another 20 per cent agreed with the conspiracy theory that says vaccinations are encouraged so pharmaceutical companies can make money, and 14 per cent said they believe the misleading claim that there hasn't been enough research to prove vaccines are safe, according to the survey from Insights West. "There's a significant level of doubt [about vaccines] and belief in conspiracy theories that fly in the face of scientific evidence about vaccinations," Insights West president Steve Mossop said in a news release. 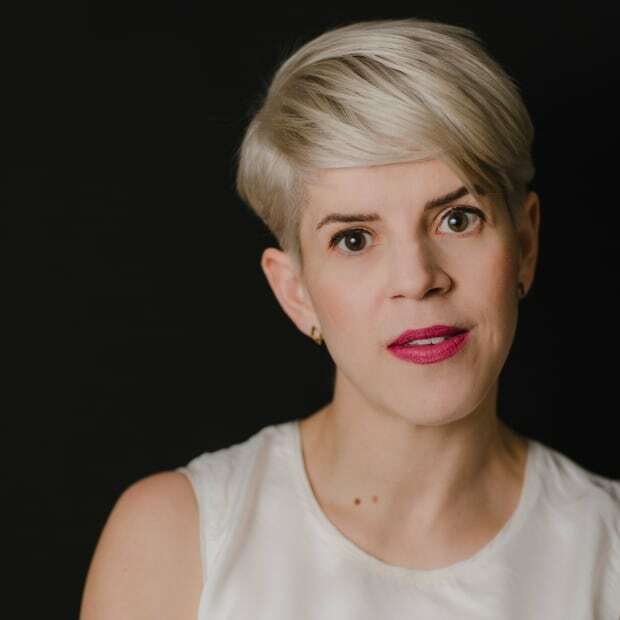 "The recent measles outbreak is evidence of this concerning societal trend and the need for more education around this significant issue." The poll was conducted online earlier this month and saw 807 adult B.C. residents respond to questions about vaccination and the recent measles outbreak. Though more than three-quarters of respondents said they're either "very concerned" or "somewhat concerned" about measles cases reported in B.C., 23 per cent expressed some doubts about vaccination. The pollsters say about nine per cent of those who answered the survey could be called "true anti-vaxxers." 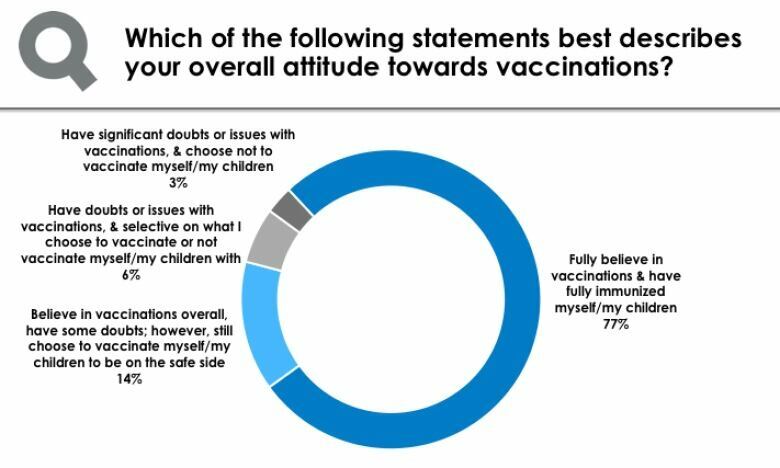 Another 14 per cent said they choose to vaccinate themselves and their children but still have some doubts about vaccines in general. Those doubts include a non-existent link between autism and the measles, mumps and rubella (MMR) vaccine, a theory that a small but significant number said they believe in. Much of the belief in this conspiracy theory can be traced to a 1998 study by disgraced former doctor Andrew Wakefield. Since the research paper was published, it's been revealed that Wakefield falsified data and may have had a financial motive for finding a connection. Numerous studies since then have disproved the theory. A study released earlier this month that featured more than 650,000 Danish children showed the MMR vaccine did not increase the risk of autism — in fact, children who'd been immunized were slightly less likely to be diagnosed with the disorder. Nonetheless, the idea continues to spread, along with other misleading claims about vaccines. That includes the false contention that the safety of vaccines hasn't been properly tested. Another common misconception is that vaccines prevent people from developing natural immunity to illnesses and actually make them more vulnerable — 14 per cent of respondents in the Insights West poll agreed with that. In reality, vaccines create immunity, without requiring exposure to serious and potentially fatal diseases. 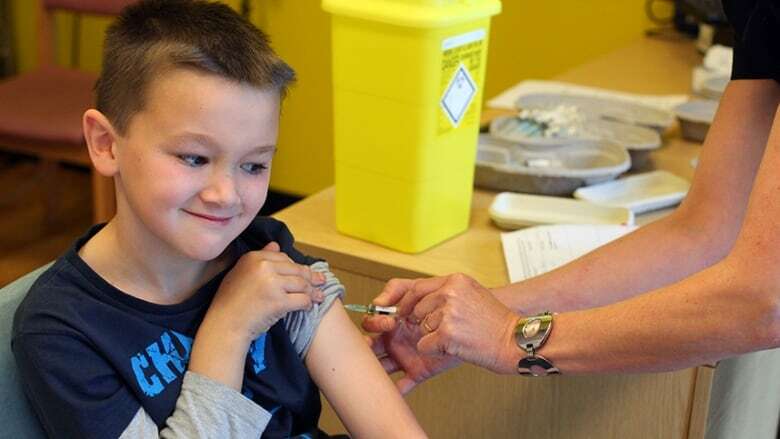 And another eight per cent agreed that vaccine-preventable diseases "have been virtually eliminated in Canada," so childhood vaccinations are no longer necessary. Recent outbreaks of measles and whooping cough across Canada prove that's not the case. The Insights West poll was conducted from March 8 to 11. The pollster claims a margin of error of +/- 3.4 percentage points, 19 times out of 20.